Turning dreams into reality is something that gets us particularly excited here at Bolidt. In fact, we’d go as far to say that it’s the fuel that keeps us driving forward. Imagination can lead to endless possibilities in design, and through effective collaborations, these designs can be manifested. This article will explore some of the epic designs that have come out of such collaborations. Mein Schiff 6 is a cruise ship from TUI, which shows off some extraordinary features. Once again breaking the norm at sea, Mein Schiff 6 is home to over 5,700 pieces of art. 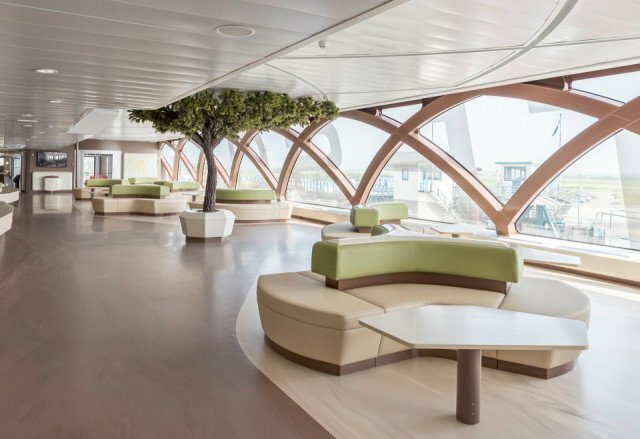 Paintings, sculptures, installations, photographs and graffiti create a theme that can be seen throughout the whole ship, in the cabins as well as public areas. The ferry Texelstroom was a particularly challenging and rewarding project that tested the versatility of Bolidt flooring. Naval architects C-Job and design studio Vripack came together to create this fascinating design. 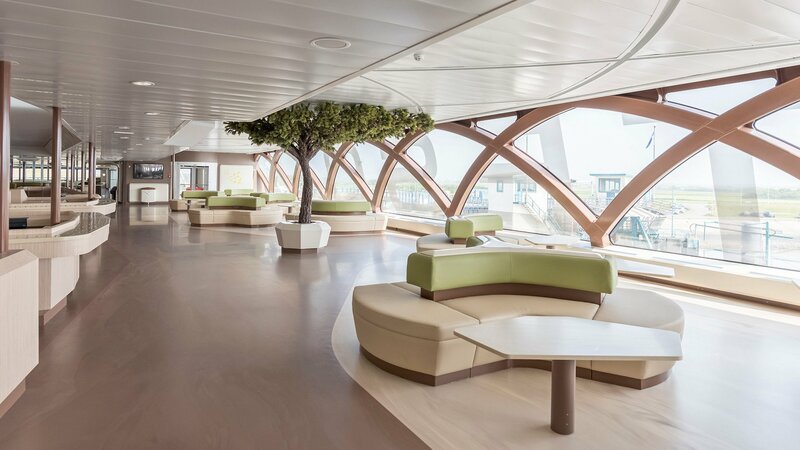 The aim was to bring the ‘island experience’ on board the ship. 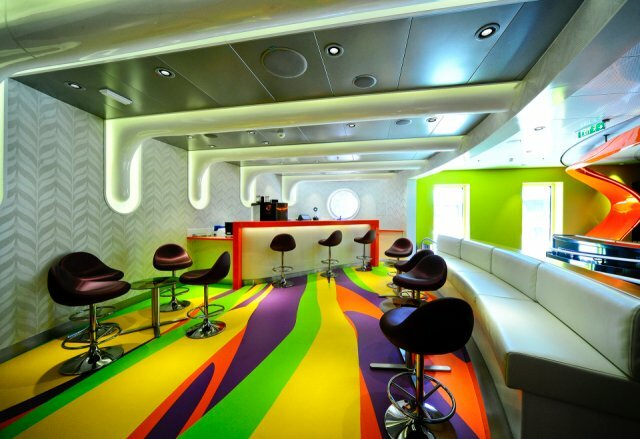 Vripack wanted a floor that would resemble running water and sand throughout the whole ship, as well as a colour scheme that mirrored the effect of water on sand. The lower in the ship, the darker the sand, and the higher in the ship, the lighter it gets. This was made possible with the versatility in design that Bolidt can offer. 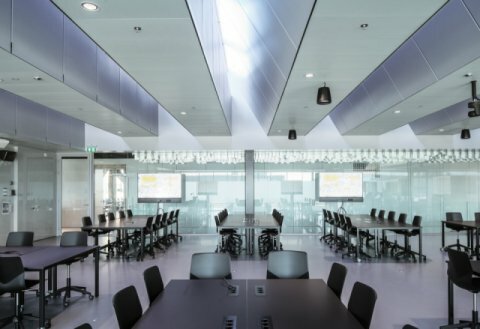 To be specific, Bolideck® Fifty Fifty was used to realise the concept, with two contrasting, closely related colours. To recreate the wet and dry sands, shades of dark and light brown were mixed and set into the floor. The unique freedom in colour and design that Bolidt offers allowed for an art piece that merged into the deck. 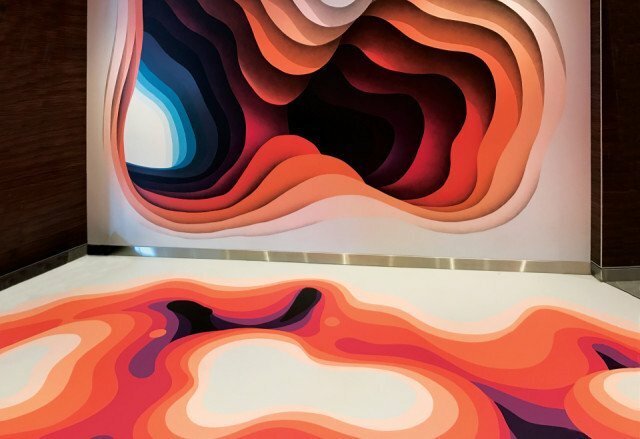 The mural can be seen immersing visitors in artistic experience. The mural achieved a fluid appearance that was only possible with the epoxy on-site application of Bolidt. When synthetics are combined with creative minds, the results are stunning. Art is one way in which the passenger can be engaged on a different level, broadening the cruise experience.